"It Girl Expo" is coming to Miami on Febrary 29! I'm happy to announce that I will be participating in a fashion filled event next week so I want my Sazoneros to join me! On Wednesday, February 29th, and Thursday, March 1st, South Florida fashionistas are invited to attend the It Girl Spring Shopping Expo at SOHO Studios (2136 NW 1st Avenue, Miami) to shop from a variety of vendors that will be featuring the latest fashions, accessories, beauty products and fitness apparel. All guests will also have the opportunity to mingle, nibble on bites from some of hottest food trucks as well as sip complimentary cocktails throughout the evening. Come visit me at the Blogger's Corner along with my fabulous blogger friends: Annie Vazquez, Ginger Harris, Maria Tettamanti and Simonett Pereira (just to name a few). 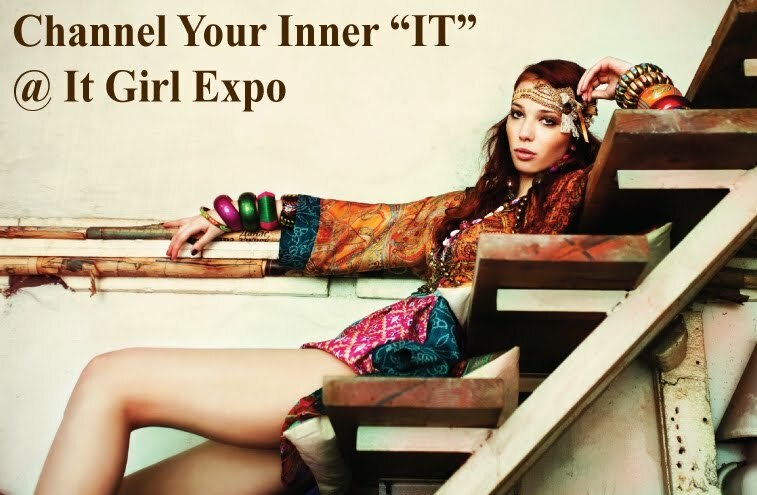 The It Girl Expo will begin at 6:30 pm and run till 11 pm on both days. I'll be there on Wednesday so make sure you swing by and say hello. In the meantime, make sure you purchase your tickets online and use my special promo code (SUSSET) to receive a $5 discount on your VIP pass or your general admission ticket. See you next week and get ready to shop!! !